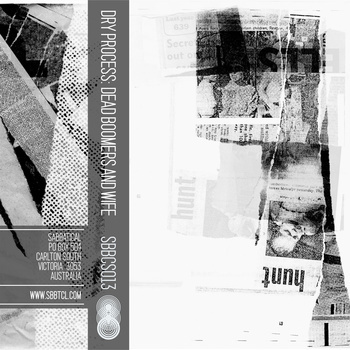 It’s not obvious how the music facilitated this process, and the exhibition ended in August so it’s too late for me to know, but judging from the few tracks I’ve listened to on Sabbatical’s Bandcamp page, Dry Process stands alone as an especially grainy and diverse collection of atmospheric noise, with a palette that definitely calls to mind the smudged, compromised quality of photocopied media. 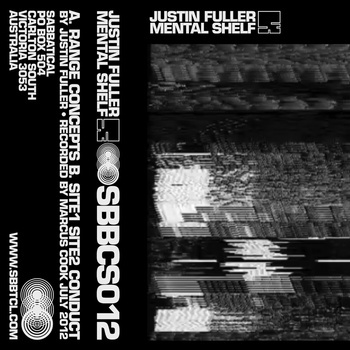 Justin Fuller’s new Sabbatical cassette is a club banger. Next year he’ll play at Parklife, and In The Mix will interview him about the trials of being an international DJ superstar. He’ll take chartered flights from Sydney to Brazil and then to London for exclusive parties where people will harass him with requests to play the latest Justin Fuller track. He’ll probably be sniffing sacks of top grade cocaine with Ricardo Villalobos for NYE 2013. Actually, I can’t say with any authority that any of these things will happen, but Fuller’s Mental Shelf is sounding pretty great, in all its suffocated 4/4 glory. This wasn’t very helpful, but we’ll have a full Serious Critical Analysis soon. 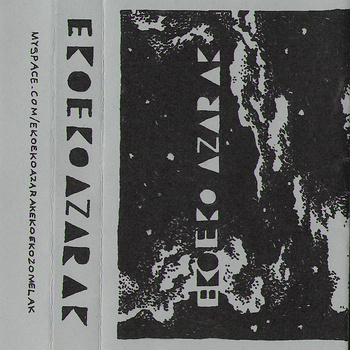 The final piece of the puzzle in the Great Sabbatical Content Dump of September 2012 is a new Eko Eko Azarak tape. EEA is the solo project of Emma Albury, who used to play in Leopard Leg and currently plays with Yolk Yolk. Unlike the other two tapes, which come in runs of 50, this one is limited to a mere 45, but it’s somehow my favourite, and not only because it features a song called ‘I’d Love You More If You Weren’t a National Socialist’.